This is the first entry in a series that will be posted prior to each concert. This “Concert Preview” will provide background information on the pieces the BSO will perform next. Each Concert Preview is written by the BSO’s Artistic Director and Conductor, Manny Laureano. 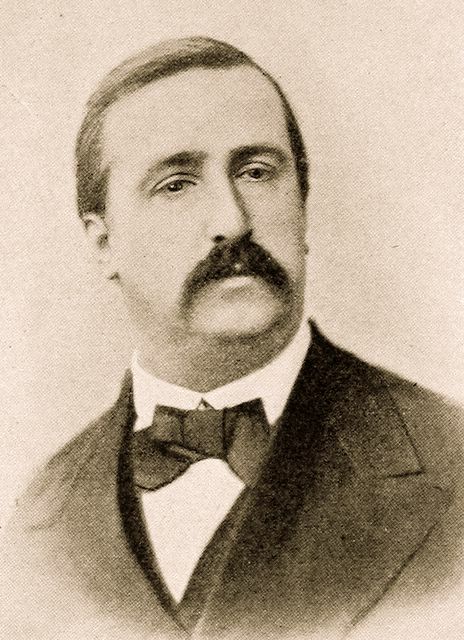 Look for the next Concert Preview on Friday, November 15.
Who could have imagined that Alexander Borodin, composer of exquisite melodies, would have had as his first love chemistry? But so it was for this illegitimate son of one Prince Gedivanishvilli, born in St. Petersburg in 1833 to Evdokia Antonova. His name came from a one of the prince’s serfs, Porfiry Borodin. This did not, however, deny him the opportunity to grow up in a privileged setting. He grew up listening to music and, in particular, enjoyed listening to bands. His talent revealed itself when he would return home after a concert and plunk out many of the melodies he had just heard on the piano which had been provided for him. He later took up the study of the piano as well as flute and ‘cello. It was upon graduating that he met a newly commissioned officer named Modeste Mussorgsky at a military hospital to which he had been assigned. He did continue his work in medicine and returned to his first love, chemistry. Music remained a significant pastime for him, however. In fact, his interest in music was impassioned by his meeting and falling in love with a pianist named Yekatorina Protopova who made it her business to civilize Alexander by exposing him to the music of Chopin and Schumann. She also took him to his first opera (by Richard Wagner) and he was, by all reports, entranced by the art form. After a lifetime of works in medicine, chemistry, and music Alexander died in 1887 of complications arising from cholera and heart problems.